Welcome to March and the craziness that is March Madness. This year has been no exception, most of the high ranking teams were bumped off in the first few rounds, ruining brackets and breaking hearts all over America. Did anyone really expect Duke to fall in the first two rounds? Miami followed, knocking out the #1 and #2 teams from the finals. But the craziness isn’t confined to the court. No, we aren’t talking about Lavar Ball, that’s a whole other blog post. 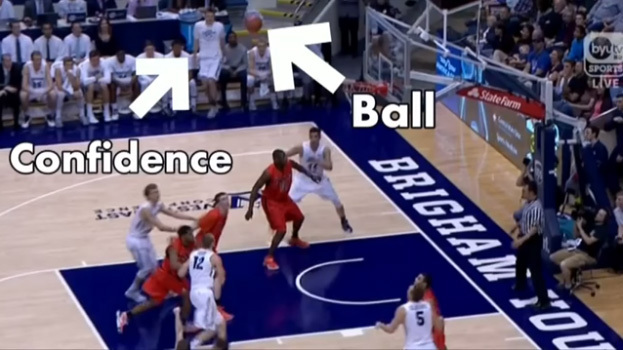 We are talking about the benches and the fans who make March Madness just a bit crazier. If the game gets tedious, just look to these guys to keep you entertained. This show comes free with the price of a ticket. Not to be outdone, the Colby Mules making winning even more fun with their dancing and improve on the bench. Mule Pride is pretty obvious when they are mixing it up in The Blender or kicking it up with A Field Goal Unit. Don’t miss their show by watching the game instead. Check out these other teams as they dance, twerk and act into some of the best sideline shows you will see this season. Not to be outdone by the teams they have come to watch, these fans have chants, cheers and songs that make the game a lot more fun and gets even the most neutral watcher a fan . What would be a a blog with out a flash mob thrown in for celebration? Maryland wraps it up in style.